This project is of a summer house on a large estate on the island of Jersey. 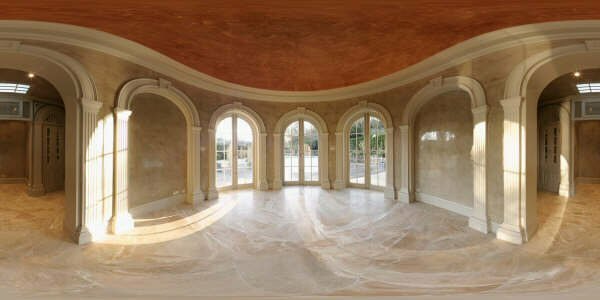 The work was carried out by one of our customers who attended our Polished Plaster Course. Curved Walls and ceiling materials used: Three coats of Umbria Venetian Plaster, finished with beeswax then buffed.